A place to buy meteorites . . . or just learn about them . . . This is the Web's oldest and best place to buy meteorites. We have good photos of all our specimens and lots of information about meteorites--dozens and dozens of pages all linked together to teach you about meteorites. On the web since 1995. Meteorites for Sale. 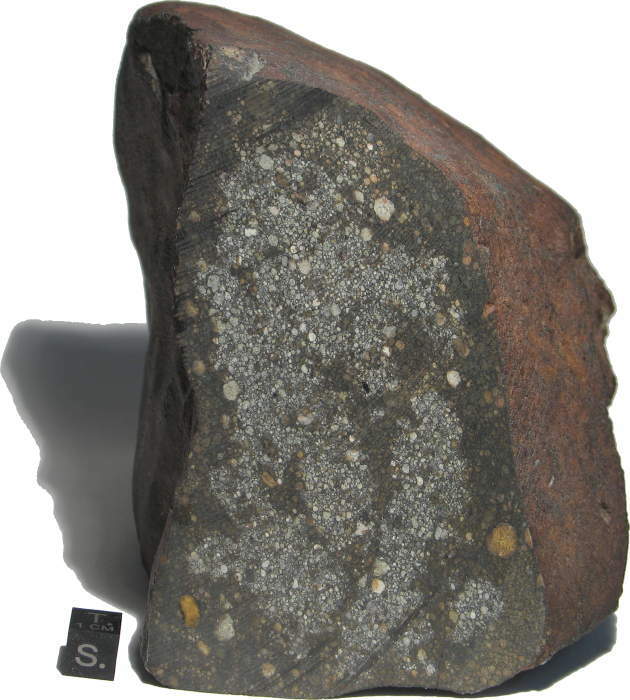 Enter here and learn about meteorites on your way to the web's best meteorite catalog. Learn about Meteorites. Here are answers to some of your questions and links to other sites. Meteorite Books--and more This links to a list of meteorite books--and my comments on them. (I'm gradually adding to this.) . . . And equipment too. Mars! You probably never thought you would be able to hold a piece of the Red Planet in your hands—now you can! These little meteorites are about $4 each ($20 minimum) Click here. This is the best meteorite book for meteorite hobbyists. Do you have a rock that you think is a meteorite? Meteorite Identification Pages A suggested gift: Put a meteorite in a membrane box--~$60 and up for Canyon Diablo, $35 and up for NWA 869, $80 and up for Sikhote-Alin ($45 for fragments). Pieces and dust $20 and up. OUR METEORITES. Click on the meteorite name to see a photo catalog. COLOR KEY: Ordinary Chondrite • Carbonaceous Chondrite • Iron • Stony Iron • Achondrite • Mars, Lunar • R-Chondrite • E-Chondrite; ITALICS= Witnessed Fall. Note: If you find all or most items in a catagory are sold, then please inquire. We probably have more that is not listed or can be cut. We have a Display Stands Page. Visit our meteorite Preservation and Repair page. We buy and trade meteorites. If you have a meteorite or a meteorite collection you want to sell to us, or if you want us to tell you whether a rock you found is a meteorite, click here. Meteorites have been a collectable since people found the very first one--or saw it fall. Our guarantee: If you buy a meteorite from us and decide you don't want it--for any reason, even years later--we will buy it back for whatever you paid. 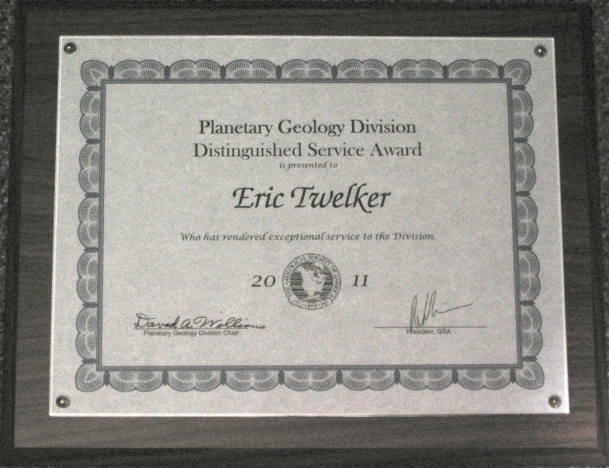 The owner of the Meteorite Market, Eric Twelker, is a member of the Meteoritical Society, IMCA #4704, the Geological Society of America, American Institute of Professional Geologists, CPG 6082, and the Society for Mining Metallurgy and Exploration. Please . . . send us an e-mail . . .
Tell us what you think of The Meteorite Market. Tell us what you would like to see. Tell us what are we doing right or wrong. Thanks. We Offer Personal Service . . . find out more about us, our goals and guarantees. Click here to see a list of the countries where Meteorite Market customers live. A great fishing trip . . . Welcome to the farm . . . . 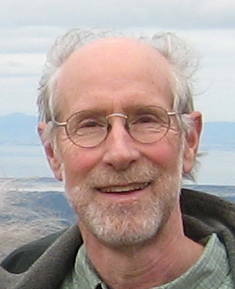 The Meteorite Market is brought to you by the Twelker family of Port Townsend, Washington. When it comes to the web, we are self-taught. We hope you will indulge the rough edges here and there. 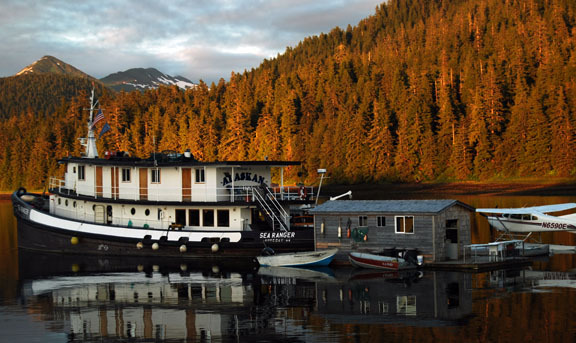 If you have any questions you may contact us by phone at 1-907-723-9895 or by mail at P.O. Box 844, Port Townsend, WA 98368, USA, or at meteoritemarket@gmail.com. We prefer that you email. If you want to call, please do so at reasonable hours during Pacific Time (3 hours earlier than US Eastern). A confirming email would help us keep things straight. Thanks! If you are using this contact information to ask for help with a meteorite you found, please see this important note. 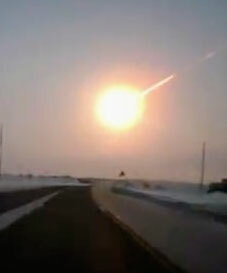 If you text a photo of a meteorite to the above phone number, you will be blocked. If you want to know more about the people behind the Meteorite Market click here. 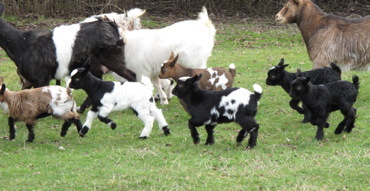 Check out our fainting goat kids!